2007 bay mare KWPN 16.2 h. (Landlord x G. Ramiro Z) Purchased at the Star Sale, as one of the top filly foals of the sale. She loves to jump. Has excellent temperament for an amateur. Easy lead changes. Comes from a very successful GP jumping bloodline. Excellent conformation, powerful jumper. 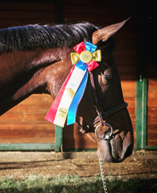 She competed very successfully in the Northeast for over a year in jumper classes. 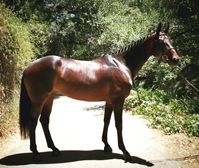 She has been in Southern California since early January 2017 and winning almost all jumper classes that she has entered at the 1.1-1.2 level. Lots of potential to move up. Price upon request.